Ooozapaloooza Food Truck Festival? Say what? Coeur d’Alene has some of the coolest events. Just saying. 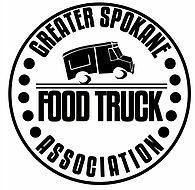 Event details: The festival is Saturday, April 29th from 11am to 6pm at the Coeur d’Alene City Park. There will be 10 different food options, plus a beer garden serving Selkirk Abbey Brew. Umm! Veterans and Gold Star families in need of such services. Hop on over to their website to check out more details about what they do to help our local service members. You can enjoy a taco and a beer, all while joining with others in the community to support a good cause!